A celebration of Spanish and Latin-American: Arts, Food, Music and Entertainment free of charge for all. Founded in 1982 the 37th. 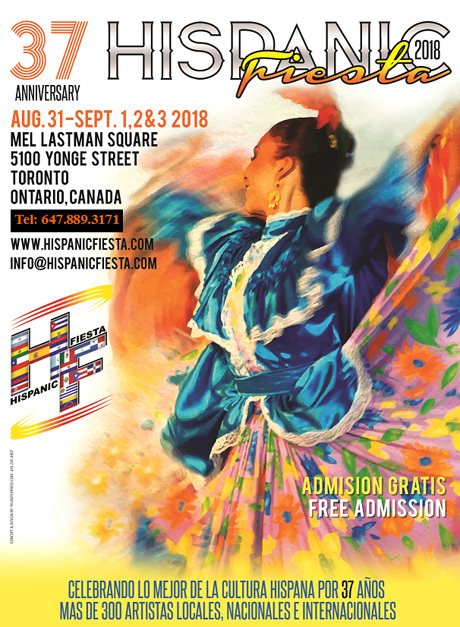 Anniversary of Hispanic Fiesta will take place once again at Mel Lastman Square in Toronto, Ontario, Canada during the Labour Day Weekend: August 31 - Sept. 1, 2 y 3 - 2018.